provided a novel forum for the presentation of new ideas and advanced developments in fields of study which have a wide range of applications. They were co-organized by the WSEAS and IARAS. Chairmen of the event were: Prof. M. Demiralp (Istanbul Technical University) and Prof. A.Bakaraya (University of Marmara). WSEAS thanks them for their great support. The Chairmen of the International Scientific Committee met over two lunches in the first 2 days of the conferences to discuss and propose new ideas for the further development of WSEAS and its conferences. The Executive Director of the WSEAS has also several discussions with all the members of the International Scientific Committee during the meeting. The meeting was characterised by its friendly atmosphere as well as the high quality of the presentations and discussions. Professor Mastorakis (WSEAS Executive Director) presented a Plenary Lecture emphasizing the role of the leading role of the WSEAS in the academic dialogue and explained also the importance of the conference programme for the work of the researchers of WSEAS. Well-known Keynote Lectures, Successful Special Sessions, Invited Presentations and many discussions took place proving the high level of the WSEAS events. In this event also, Prof. Babic (Editor-in-Chief of WSEAS Trans. on Power Systems) and Prof. Demiralp (Editor-in-Chief of WSEAS Trans. on Mathematics) had several discussions with the participants, the Session Chairmen and potential authors in these prestigious WSEAS Journals. (D) JOURNAL PUBLICATION: Only authors of high - quality papers of archival value (they have been recommended by the Chairmen) have been invited (after the end of the conference) to send extended versions of their papers to the international WSEAS Journals after the conference. See the procedure below. A new username and password WITHOUT EXPIRY DATE for on-line access in the WSEAS Conference proceedings FOR EVER. 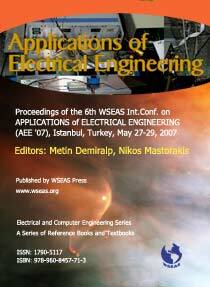 3) WSEAS gave also in the CD-ROM the Proceedings of the previous conferences in Istanbul, Turkey (May of 2006). So, the participants were really very happy, because they had the opportunity to study the proceedings of the previous year. 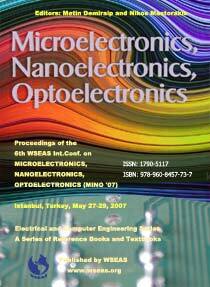 6) The conference Books (Hard-Copy Proceedings), CD-ROM proceedings and (Journals with selected papers) published by WSEAS Press continue to sell for a long time after the meeting has taken place. This is another demonstration of the prestige the scientific community attribute to the meetings organised by the WSEAS.
.: What is the Permanent Procedure for additional Journal publication for a very small number of High-Quality Papers presented in the WSEAS Conferences in Istanbul (after the recommnedation of Chairmen). We have started now the evaluation of extended versions of your papers for possible inclusion in WSEAS journals after new rounds of review. only high quality papers, breakthrough works of archival value, i.e. papers that are well written from any point of view, completed studies (with their numerical examples or experiments that must be compared with the previous results in the literature), excellent english and of course correct WSEAS format. The papers also must be substantially extended version of the paper that was presented in the conference (with more than 40% new material). We need papers that will attract the attention of other scholars citing them increasing our impact. In the next few years, the WSEAS transactions must be in every academic library, in every corner of the earth. To this end, we need your high quality contribution. documentation, while for computational work, we need full benchmarks. Of course along discussions for the applicability of the method, originality, novelty and directions for future research. your country. If not, we are entitled to reject it from this early stage informing you properly. The positive answer of the 3 reviewers is necessary (attention: 2 yes and 1 no implies NO, i.e. rejection). After all this procedure, the accepted papers that come from WSEAS Conferences in Turkey will be published in various WSEAS Transactions. Abstract: Modern motion control systems are more and more acting as “agents” between skilled human operator and environment (robot assisted surgery, microparts handling, teleoperation, etc.). In such situations design of control should encompass wide range of very demanding tasks. At the lower level one should consider tasks of controlling individual systems - like single DOF systems, motor control, robotic manipulator or mobile robot. On the system level control of bilateral or multilateral interaction between systems of the same or different nature, the remote control in master-slave systems, haptics etc. should be considered. Such a complexity of motion control system functions poses a challenge for control systems designers due to the diversity of the tasks and changing structure of the system and the interaction with environment. In general design of motion control system should take into account (i) unconstrained motion - performed without interaction with environment or other system, (ii) motion in which system should maintain its trajectory despite of the interaction with other systems, (iii) constrained motion where system should modify its behavior due to interaction with environment or another system or should maintain specified interconnection - virtual or real - with other system and (iv) in remote operation control system should be able to reflect the sensation of unknown environment to the human operator. In this talk we will discuss different frameworks for complex motion control design for unconstrained and constrained motion - when system moving without obstacles, or is in contact with environment or another system or has certain functional interaction with another system. The problems related to bilateral and multilateral systems, maintenance of virtual relation among mobile robots and control of haptic systems will be discussed. 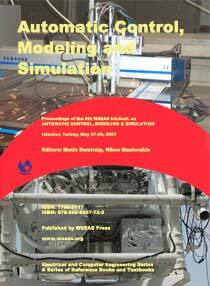 Abstract: The application of innovative technologies of automatic control in lighting systems gains daily the interest of engineers, constructors and users. The main purpose of these applications is the energy savings. Daylight control is a form of automatic control that replaces the manual control of the users. The core of this system is the photosensor, which creates a signal in proportion to the amount of the daylight that detects, using its spatial and spectral response. The signal of the photosensor can be combined with dimming electronic ballasts which adjust the electric light output giving a great potential for energy savings in areas with high levels of daylight. Nevertheless, the daylight responsive systems are widely misunderstood and they have been characterized hastily as problematic systems. The lack of knowledge and comprehension of these systems is a great withdraw against their widespread use and a lost opportunity for energy savings. In this present study becomes effort to overcome these difficulties clarifying the operation procedures of the photosensors and their function as part of the lighting system. Also techniques for their evaluation are proposed through an analysis of experimental data of the characteristics that influence their operation and advices for their optimum placement in spaces of application. As you can see in the pictures (see above), the WSEAS participants enjoyed a folklore show with Songs and Dances from almost every corner of Turkey. WSEAS organisers who always support the cultural activities were really very happy. Some Professors also from Greece played musical instruments from their country. Except the great variety of folklore dances and the traditional music mainly from Turkey (but also from Greece), the participants enjoyed a belly-dancer who taught us genuine turkish belly dance (see the pictures). Several Excursions in Bosporous, Agia Sophia, Sultan Ahmet, Topkapi Palace, Dolma Baktse Palace, Princess Islands, Monastery of Chora, Rumeli Hisar, Anadolu Hisar, Heydar Pasha Railway Station took place via a professional travel agency that collaborated with WSEAS. The leaflets of this travel agency existed in every conference bag (see the photos above).